Proverbs 16:9 – In his heart, a man plans his course, but the Lord determines his steps. Happy New Year – 2019! I am not sure about you, but on New Years Eve and New Years Day, I think about all the things that could take place in the new year. Most individuals plan for the upcoming year, make goals and try and predict the future. Those are all good things to do, but the only one who can predict our future is our Lord and Savior. 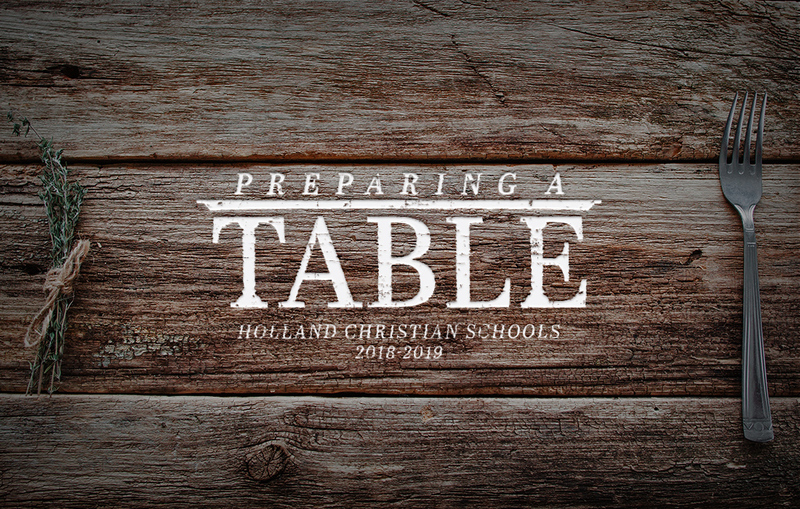 What a gift of faith and trust to rely on Him each and every day – to see how our table will be prepared this upcoming year. I am super thankful for the opportunity to be back in the middle school to serve as principal. I am happy to be back with the amazing teachers, staff, students and partnering with you. The 8th grade parents already know me. I served as the Middle School Principal last January – June. If you have a high school student – you know me from the high school. I served as principal June-December. A lot of parents will ask me – “What building do you like best, the middle school or the high school?” My response back is always “do you have more than one child?” “It is like trying to say what child you love more.” I love both buildings and I have blessed to be able to see how each building functions, to know the teachers and staff in each building, and see how blessed we are at HC to have our children learn spiritually and academically from such Godly individuals. If you are a 7th grade parent – and don’t already know me – I am excited to get to know each of you. Please feel free to stop in and introduce yourself anytime. I want to get to know you. As always, please let me know how I can help and any questions you might have. I am happy to help!